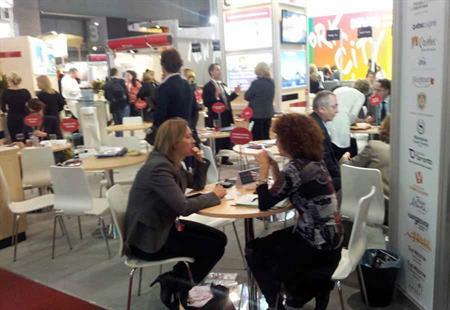 Networking and meeting new destinations are among key objectives for EIBTM hosted buyers, who shared their views of the first day of the Barcelona show. Polish-based Kredyt Bank project manager Agnieszka Kanska said her main aim was to make contact with DMCs that could offer her something different. "I am looking outside Europe, to destinations such as Mexico, Africa and Asia," said Kanska. "Face to face meetings are still very important and certainly business events for clients will continue, although employee incentives may shrink." Universal World Events project manager Kristel Wijermars has returned to the show for the second time and said she found it "bigger and better" in 2012. "There seem to be more different destinations, which is interesting," said Wijermars. "The most useful part for me is gaining knowledge of destinations, as well as meeting partners with whom we have already placed business. It is a chance to meet and get to know them." US investment firm Alliance Bernstein’s global head of event marketing Daniele Menache said it was her first time at EIBTM in Barcelona, but in future she would return to Imex America in Las Vegas. "I wanted to come to see what it was all about, but I haven’t found EIBTM as effective in terms of time as going to Imex America," she said. "I still might place some business here and I have found the networking useful." Meanwhile, TMB event manager Joanne Crees said her goal was to "put faces to names" in destinations from South America to the Far East. "It is more about building up relationships than placing business at the show," she added. "It is hard to take time out of the office but it is good to network with other agencies, and see a number of venues you would not normally have time to meet." EIBTM this year has 3,103 exhibitors, and has registered 4,200 hosted buyers to attend the show, which takes place at the Fira Gran Via on 27-29 November.